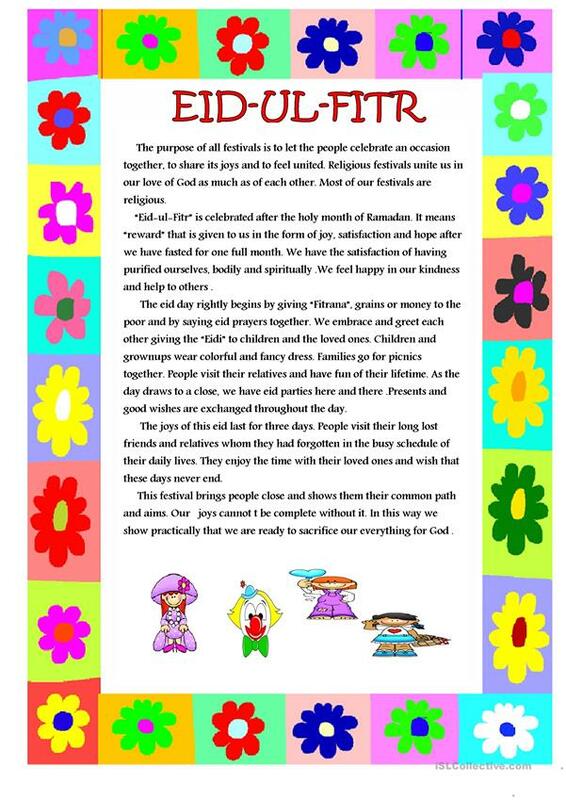 A simple worksheet consisting of a festival,celebrated in different countries of the world.It can be used as a reading comprehension in the class.After reading it you can ask the students to write about some other festival which is celebrated in your country also. The present printable, downloadable handout was created for high school students and elementary school students at Pre-intermediate (A2), Intermediate (B1) and Upper-intermediate (B2) level. It is valuable for practising Adjectives in English, and is useful for honing your students' Listening, Speaking and Reading skills. It is focused on the theme of Culture, intercultural communication, cross-cultural communication.